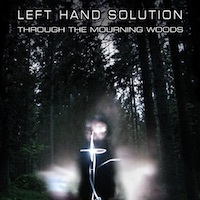 The solution for the left handed person takes us on an adventure through some mourning woods and some other stuff perhaps. 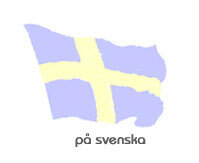 The Swedes who call their band Left Hand Solution started a long time ago but has since kind of disbanded with a few live shows on certain occasions, the latest album was released in 2001 so fans have waited for about eighteen years for this new album, their third one in the very long time since their start. So the question that first comes to mind when thinking about this new album is whether it was worth the long wait. Their style is doom metal with female vocals, exciting vocals, good vocals. The album is also varied and the six tracks gives us the sensible playing time of little over half an hour, which feels quite right and it is an album that invites the listener to play it several times over. There are also some touches of gothic metal, and I would describe the album as having a fairly modern sound – it feels like a fresh album and I think that the band has found a sound that could get them noticed and sets them apart from a boring standard format of a genre. It is an album with good depth and one that is not easy to grow tired of, I think it can actually be worth the wait. I think the album is without weakness and the songs are all good even though none of them really stand out from the rest of the songs – you could say that the songs are equally good. I think that they have modernised their sound really well and fans will find this album very appealing and probably even worth waiting for. Really strong effort here and it would probably be rather unwise not to check out this great album. It is a shame that this album seems to be released in the digital format only; it means that it will not be an attractive purchase despite the quality. I will never buy a digital album as I prefer the physical releases and mostly vinyls and had it been released on vinyl I would have bought it immediately but it wasn’t so I guess it will be keeping these digital files and perhaps playing it every now and then. I think you would do wise to check out this album as I think it is one of the most interesting I have heard so far in 2019. And with that I guess all we can do is say welcome back Left Hand Solution.